The Cotswolds is a designated Area of Outstanding Natural Beauty in the west of England and is a popular place for tourists to visit. It is full of charming English towns and quaint villages built using honey coloured stone. 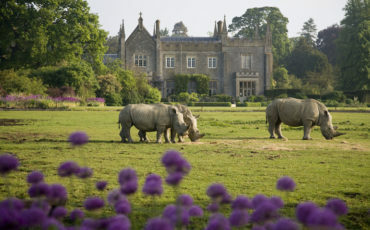 Driving through the traditional rolling English countryside is a treat in itself and is more enjoyable when accompanied by a Blue Badge Tourist Guide. Who is the best-selling writer in history after Shakespeare and the Bible? 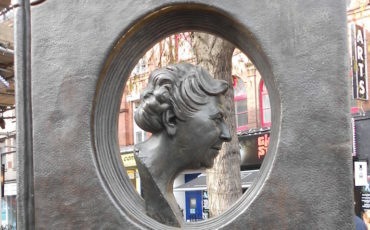 The answer is Agatha Christie who was born in Devon in 1890 but whose stories often feature London and who wrote what is the capital’s (and the world’s) longest-running play The Mousetrap, which is still playing at Saint Martin’s theatre sixty-five years after it opened. One of the original cast was the late Sir Richard Attenborough, who was paid partly with a share of rights from the play. These were never expected to be worth much but later in his career he was able to sell them to help finance his film about the life of Mahatma Gandhi starring Sir Ben Kingsley. 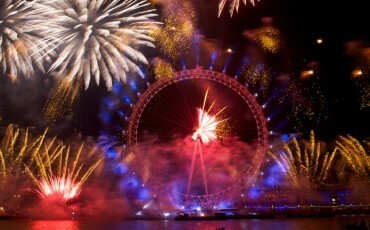 The end of December through January is a fun time to be in London. Christmas may have passed but the atmosphere is still quite festive and there are loads of events to ring in the New Year and get you excited about the start of the year. 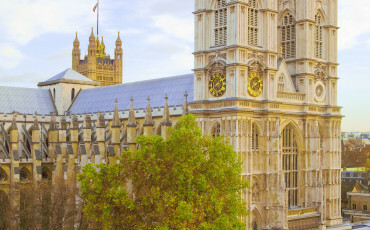 Below are some of the major events and activities to entice you to plan a visit to our fair capital London – recently ranked #1 on the list of the world’s best city for 2018. Blue Badge Tourist Guides need to keep up with the latest cinema releases in order to make their tours relevant and up-to-date. One of the most interesting and popular films to come out this year was Goodbye Christopher Robin, the story of the creation of our best-loved bear Winnie the Pooh. 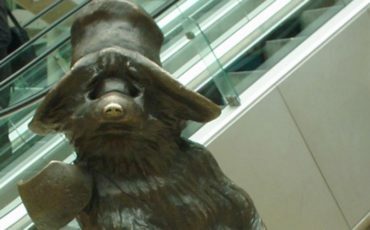 His position though may be threatened by Paddington, created by the late Michael Bond and also the subject of a recent film Paddington 2 which is currently doing good business at the box office. 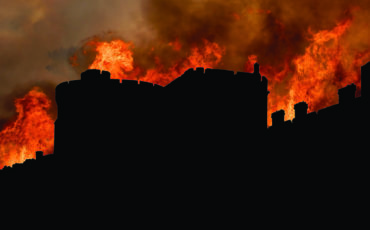 One question Blue Badge Tourist Guides always seem to be asked when they take groups to Windsor Castle is “where did the fire take place?” It took place twenty-five years ago this month on 20 November 1992 on the Queen and Prince Philip’s forty fifth wedding anniversary during what the Queen later referred to as her “annus horriblis”, when the marriages of three of her children came to an end and the oldest royal home was engulfed in flames. 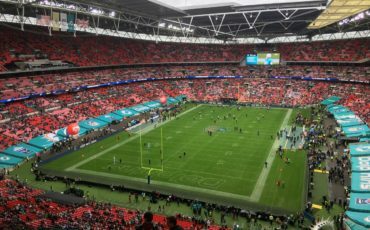 Here in London we feel very privileged to have hosted the National Football League (NFL) games now since 2007, known as the International Series. At first it was just one game each year. The Miami Dolphins hosted the New York Giants at Wembley Stadium on October 28, 2007. The Giants defeated the Dolphins 13–10 in the first regular season NFL game held outside North America. The first 40,000 tickets sold out for the game in the first 90 minutes of sales, and mainly to British and other Europeans. Since 1661, St. James’s Street in London has been a go to destination for luxury retailing. 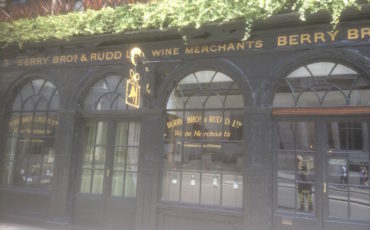 Many of the posh shops on the street originally catered to the clientele from some of London’s best-known gentlemen’s clubs on the same street, including Brooks’s, the Carlton Club and White’s. Now St. James’s Street in London is world famous and a go to place for top of the range products and services offered with traditional English flare. With that in mind, below are 5 of the posh shops on St. James’s Street in London. 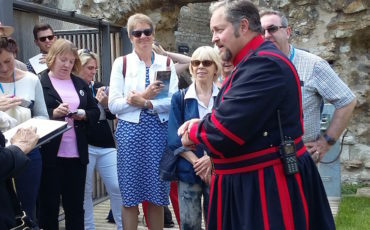 ￼￼A group of Guide London Blue Badge Tourist Guides recently had the privilege of going “behind the scenes” at the Tower of London, on a warm, witty and informative tour hosted by Chief Raven Master, Chris Skaife. Below is an account of the tour. The new £10 is the second plastic or polymer note issued by the Bank of England and features a portrait of Jane Austen. It follows the introduction of the first polymer note in September 2016, a fiver with a picture of Winston Churchill and an extract from his famous speech: ‘I have nothing to offer but blood, sweat, tears and toil.’ The new twenty-pound note, with a portrait of a young J. M. W. Turner and a version of his painting of the Fighting Temeraire in the background will be released in March 2020. 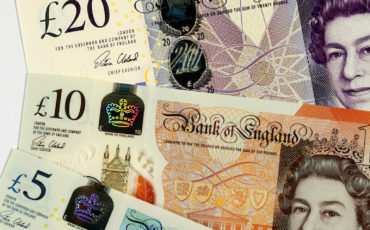 As yet no decision on a polymer fifty-pound note has been made and who would feature on it. 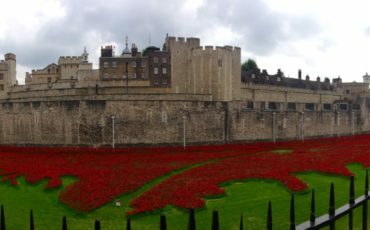 Who can forget the wonderful site of the 888,246 handmade ceramic poppies by the artist Paul Cummins filling the moat of the Tower of London and cascading down the walls and over the drawbridge area three years ago? Created to represent every British fatality during WWI and to remember the 100 years since the outbreak of war ‘Blood Swept Lands and Seas of Red’, grew daily, aided in a small way by many Blue Badge Tourist Guides who helped to plant some of them. public, following a £2.4 million conservation programme. 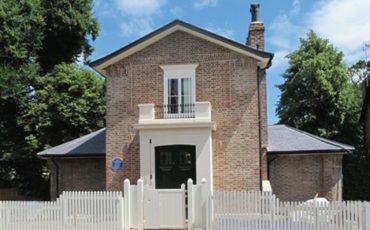 Built in Twickenham in 1813, it was a peaceful retreat for him and he lived there with his father until 1826. 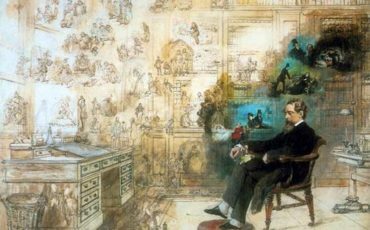 Using Turner’s sketches, a William Havell drawing of 1814, architectural evidence and paint analysis, the Turner’s House Trust has returned the house to its original form and decoration as closely as possible.